A prominent literary figure in the former Soviet Union and present-day Russian Federation, Chingiz Aitmatov has helped to bring the history and traditions of the Kirghiz and Kazakh peoples to world attention. His prose blends legend, myth, and realistic detail to depict the struggles of traditional cultures caught up in the rapid changes of modernization. Critical of Soviet society, but not a dissident, Aitmatov remained in the USSR and even rose to important posts in the government of Mikhail Gorbachev. The innovative style of his stories and novels helped break down the rigidities of socialist realism, and opened the way for more stylistic experimentation and creativity in Russian prose. A Literate Kirghiz. The first author from the Central Asian region of Kirghizia (now Kyrgyzstan) to earn international recognition, Chingiz Torekulovich Aitmatov was born in the mountain village of Sheker on December 12, 1928. His parents were highly educated and bilingual; consequently, Aitmatov grew up with a strong knowledge of the Russian classics as well as the folklore of his native culture. During the Stalinist purge of the Communist Party in 1937, when Aimatov was nine years old, his father, a regional party official, and two uncles were arrested and shot on charges of ‘‘bourgeois nationalism.’’ Subsequently, his aunt and grandmother taught him the oral legends and traditions of the Kirghiz people, who had no written language of their own until the late 1920s. World War II erupted before Aitmatov entered his teens. In 1941, he left school to contribute to the war effort. One of the few literate persons in his village, he became a tax collector and secretary of the village soviet (or council). After the war, he attended a veterinary school in Kazakhstan, earning a degree in animal husbandry in 1953. Over the next dozen years, he worked as a livestock specialist while pursuing a literary career. Aitmatov published his first story in 1952. He translated other stories from Kirghiz into Russian, then began writing in the latter language. These early pieces helped him gain entrance into the prestigious Gorky Literary Institute in Moscow. After graduation in 1958, he returned home to work as a correspondent for the official Soviet newspaper Pravda and continued to write fiction. A Critical Yet Loyal Communist. The 1959 publication of his novella Jamila in the liberal journal Novi mir brought Aitmatov international recognition. The story shows some distance from the official model of socialist realism that all Soviet authors were expected to follow. The heroine abandons her husband from an arranged marriage to be with her true love, a war deserter and thief. Aitmatov presents her actions in a positive light. Kirghiz critics denounced the work as demeaning and unrepresentative of their culture, but it was widely translated and published abroad. Aitmatov joined the Communist Party in 1959. He soon became an influential public figure, serving on the editorial boards of important publications, including Novi mir, as well as being a member of the Soviet Writers’ Union. 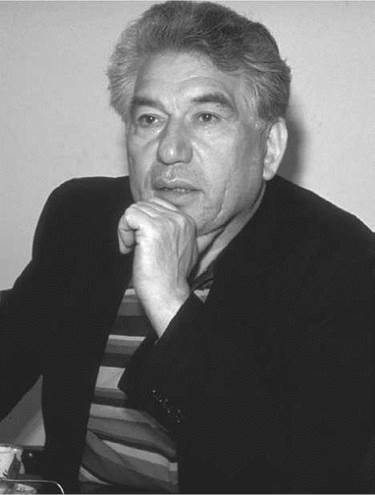 One of Aitmatov’s singular achievements is that he remained a party member in good standing despite the critical perspective on Soviet life that appears in much of his writing. The government of Nikita Khrushchev awarded Aitmatov the Lenin Prize in 1963 for his collection Tales of the Mountains and Steppes, which reprints several stories, including Jamila. Aitmatov was decorated again with the State Prize for Literature for his novella Farewell, Gul’sary! (1966). This work draws parallels between the lives of an elderly Kirghiz peasant, Tanabai, and the racehorse he formerly owned, Gul’sary. Tanabai’s reminiscences reveal how the indifference and corruption of local Communist Party bosses caused suffering to both man and animal. The Day Lasts Longer than a Hundred Years. Three of Aitmatov’s most popular stories appeared in the 1970s. These stories, presented from a child’s perspective, blend traditional myth and Soviet reality. In The White Ship (1970), an orphan raised on the traditional values of his grandfather is unable to accept the evils of contemporary Soviet life and kills himself. The Cranes Fly Early (1975) is semiautobiographical, concerning a group of boys taken from school during World War II to help with the war effort. ‘‘Piebald Dog Running along the Shore’’ (1977) takes place in the Soviet Far East among the minority Nivkh peoples; the exotic locale, details of the traditional culture, and the compelling plot of a boy’s initiation into manhood that goes terribly wrong, were enormously appealing to the Soviet public. Critics attacked the tragic tone of these stories, but the stories sealed Aitmatov’s popularity with readers. One of Aitmatov’s more daring and well-known works is The Ascent of Mount Fuji (1973), a play he coauthored with dramatist Kaltai Mukhamedzhanov. This drama caused a sensation at its 1973 Moscow premiere because it openly treats the delicate subject of Soviet suppression of dissidents. Four old schoolmates meet on a mountaintop to renew their friendship but find they must confront the absence of a fifth friend, Sabur: he had denounced the government and was sent to a concentration camp. One of the four friends condemns Sabur for treason, while the other three remain silent. This psychological study of betrayal and silence was not published in the Soviet Union. In 1988, Aitmatov wrote the screenplay for a movie version. Aitmatov’s first full-length novel, The Day Lasts Longer than a Hundred Years (1981), is much wider in scope than his prior work. Its three major subplots interweave elements of Kirghiz folklore, Soviet history, and science fiction. In the first subplot, a Kazhak elder reminisces as he travels to a sacred cemetery to give his friend a ritual burial. In the second, a former Russian soldier is persecuted for writing his memoirs of World War II. In the third, astronauts on a joint Soviet American space mission discover an advanced civilization on another planet but are prevented from returning to Earth by their own governments, which fear the cultural effects of this contact. This complex work, touching on issues of intellectual freedom and cultural identity, is open to numerous thematic interpretations. Political Work and Later Career. The Place of the Skull (1986), Aitmatov’s second novel, appeared in the early days of Mikhail Gorbachev’s tenure as Soviet leader, as Gorbachev unrolled his reform policy called glasnost (openness). Like many works of that time, Aitmatov’s novel focuses on the moral and social problems of the Soviet Union, especially drug trafficking, bureaucratic corruption, and the destruction of nature. Using a Russian rather than a Kirghiz or Kazhak as his main character, Aitmatov argues that Russians have also been cut off from their spirituality and cultural heritage. Aitmatov became a member ofthe Congress ofPeople’s Deputies in 1989 and an adviser to Gorbachev. His political and diplomatic career continued after the dissolution of the Soviet Union in 1991; he served as Russian ambassador to Luxembourg and later resided in Brussels as Kyrgyzstan’s ambassador to the European Union and the North Atlantic Treaty Organization (NATO). His son, Askar Aitmatov, became the foreign minister of Kyrgyzstan in 2002. As Aitmatov became more involved with politics, his literary output declined both in quantity and quality. He published no fiction between the story collection The Mark of Cassandra (1995) and the novel When Mountains Crumble (2007). Aitmatov suffered kidney failure in May 2008 and reportedly fell into a coma; he died on June 10, 2008, in Germany. Aleksandr Solzhenitsyn (1918-2008): This Russian dissident author exposed the extent of Stalin's labor-camp system. Gunter Grass (1927- ): This Polish-German novelist was one of the most controversial authors to emerge out of Germany after World War II. He is best known for his trilogy of novels that graphically capture the reactions of German citizens to the rise of Nazism and the horrors of war. Gabriel Garcia Marquez (1927- ): Marquez, a Colombian novelist, is best known for his magical realist masterpiece One Hundred Years of Solitude. Carlos Fuentes (1928- ): Mexico's foremost contemporary novelist, Fuentes often intertwines myth, legend, and history to examine his country's roots and discover the essence of modern Mexican society. Chinua Achebe (1930- ): Achebe is a Nigerian author whose novel Things Fall Apart was a breakthrough for African literature. Joseph Brodsky (1940-1996): Brodsky, a Russian-born poet, was expelled from the Soviet Union in 1972 for his political views. Mikhail Gorbachev (1931- ): Gorbachev was the last head of state of the USSR (1985-1991); his reforms led to the breakdown of Soviet Communism. Chingiz Aitmatov’s bilingual education exposed him to the classics of Russian literature, as well as the rich indigenous traditions of his own culture. His ability to write with a dual consciousness, connected to his own minority culture while capable of relating to the concerns of the dominant Russian culture, may in part account for his literary success. Stretching Socialist Realism. Aitmatov lost his father in Stalin’s purges and clearly understood the repressive techniques the Communist regime applied toward artists, such as the requirement to write in the mode of socialist realism. Socialist realism was the term applied to literature that furthered the ideals and aims of the socialist Soviet government, while avoiding direct criticism of the government or dwelling on otherwise “frivolous” subjects. Since art was considered a resource of society, just like food or lumber, it was subject to government approval and distribution. Yet even Aitmatov’s early works depart from the tenets of the genre, and his mature stories and novels deal with sensitive topics such as government corruption, the threat to traditional cultures and languages, and even Stalin’s concentration camps. A Communist himself, Aitmatov depicted characters committed to fulfilling socialist ideals under adverse conditions. This tactic allowed him to engage controversial subjects and include unpleasant details of Soviet reality within the framework of socialist realism. Folklore and Animal Life. Aitmatov’s style of drawing heavily on folklore and parables to present his ideas may be one reason his writings have not put him in disfavor with his government and party. Almost all of his stories and novels refer to a myth or folktale. Aitmatov resituates aspects of indigenous tradition into the reality of Soviet, and now Russian, society. Farewell, Gul’sary! represents this quality. The tale is strongly reminiscent of old oral epics that emphasize horses and horseback riding. As Gul’sary and his master contemplate their shared past, Aitmatov illustrates the interwoven destinies of man and animal, the concordance of man and nature so vital to the Kirghiz oral heritage. His novels The Day Lasts More than a Hundred Years and The Place of the Skull both use animals to underscore the fate of the human characters. Other stories depict nature and children as innocent victims of a ruthless modern society. The Mankurt. The overriding theme of Aitmatov’s fiction is the consequences that result when a group neglects its history and ancestral culture. He has even encapsulated the thrust of this social perspective in a single word: mankurt. The term derives from a Turkish myth, which Aitmatov relates to great effect in The Day Lasts More than a Hundred Years. According to legend, foreign invaders would strap a camel hide onto a prisoner’s head, which would painfully squeeze his skull and turn him into a mankurt—a mindless, obedient slave stripped of all memory. This myth becomes a potent symbol of the novel’s underlying message. Today, in Turkey and the former Soviet republics, mankurt is used as a derogatory reference to people who embrace Western, or Russian, culture at the expense of their own national or linguistic identities. This addition to the political lexicon symbolizes Aitmatov’s contribution to Russian and Central Asian life. Chingiz Aitmatov writes in a unique style blending traditional folklore and modern themes. The works below represent other modern attempts to draw upon the folk traditions of a variety of cultures. The Bridal Canopy (1931), a novel by S. Y. Agnon. This folk epic, about a wandering rabbi seeking a dowry for his daughters, celebrates a disappearing Jewish culture with many vignettes filled with Jewish lore. The Lost Steps (1953), a novel by Alejo Carpentier. The protagonist of this novel travels from New York into the Amazonian jungle: as he progresses, time seems to move backward. Ti-Jean and His Brothers (1958), a play by Derek Walcott. This folk-drama celebrates Caribbean storytelling and carnival, while subtly exploring the social consequences of colonialism. Shadows of Forgotten Ancestors (1964), a film directed by Sergei Parajanov. This hallucinatory masterwork of cinema contains many folkloric images revealing the ancient culture of the Carpathian Mountains. Aitmatov accomplished a rare feat in Soviet cultural life: he developed a devoted following within the USSR and was decorated rather than censored by the state. In 1963, he received the Lenin Prize for literature, the highest honor the Soviet Union could bestow on an author, and he twice won the State Prize for literature (1966, 1983). This official recognition did not buy his silence; instead, it afforded him a measure of security that enabled him to take more risks. Later, he became almost a symbol of Gorbachev’s liberal reforms and increased recognition of cultural diversity within the Soviet Union. The White Ship In The White Ship, Aitmatov depicts the suicide of a seven-year-old boy who becomes despondent after witnessing the brutal slaying and consumption of a rare deer. Some Soviet readers were offended by the pessimism of the story, and the outcry against it prompted the author to defend his artistic integrity in the Literaturnaya gazeta. Countering suggested changes in the tale, Aitmatov was quoted in the New York Times as stating: ‘‘I had a choice, either to write or not to write the story. And if to write it, then only as I did.’’ The author also asserted that evil is inexorable and, lacking the capacity to overcome the adult evil surrounding him, the boy had to sacrifice his life or his childhood ideals. 1. Using your library resources and the Internet, research Kyrgyzstan and its culture. How does the work of Aitmatov reflect traditional life in Kyrgyzstan? 2. Does Aitmatov fit your understanding of a socialist realist writer? Citing one or more of his works, explore his contribution to this literary genre. 3. Look closely at the use of folklore in one or more Aitmatov stories. In a group discussion, explain how he uses folklore to make statements about the present day, or the relationship between past and present. 4. Write about the role of animals in Aitmatov’s fiction. 5. What is the overall message of Aitmatov’s novella, Jamila? What is Aitmatov’s view toward tradition and modernism? Kolesnikoff, Nina. Myth in the Works of Chingiz Aitmatov. Lanham, Md. : University Press of America, 1999. Mozur, Joseph P. Parables from the Past: The Prose Fiction of Chingiz Aitmatov. Pittsburgh: University of Pittsburgh Press, 1995. Porter, Robert. Four Contemporary Russian Writers. New York: Berg, 1989. Shneidman, Noah N. Russian Literature, 1988-1994: The End of an Era. Toronto: University of Toronto Press, 1995. Tural, Sadik. Sensibility Flowing from History to Epic. Ankara, Turkey: Ataturk Culture Centre Publications, 1999. Shneidman, Noah N. ‘‘Soviet Literature at the Crossroads: The Controversial Prose of Chingiz Aitmatov.’’ Russian Literature Triquarterly 16 (1979): 244-64. Bashiri, Iraj. Chingiz Aitmatov’s Corner. Retrieved May 27, 2008, from http://www.angelfire.com/rnb/bashiri/Aitmatov/Jamila.html. Literary Work Owners Society of Turkey (ILESAM). The Application for the Nomination of 2008 Nobel Prize for Literature. Retrieved May 27, 2008, from http://www.ilesam.org.tr/images/dosya/CENGZAYTMATOV_NGLZCE.doc.